Europe is home to a lot of storybook ski towns. There’s nothing like a quiet, serene village nestled snugly in a valley surrounded by majestic peaks. So, what about North America? Are there still authentic ski towns left or have the McMansions come in and destroyed the soul of every resort? Luckily, there are a few enchanting destinations left that have their charm, character and most of all, a feeling of being in the mountains. You better hurry up though… because you never know when this will change. 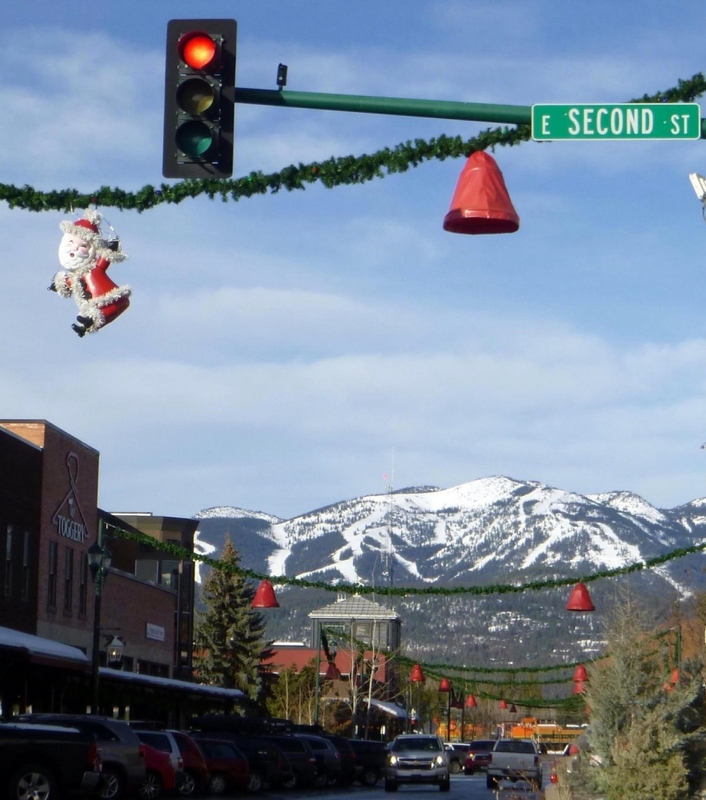 Surrounded by 14,000 ft. monumental crests, this town might be the shining example of what a western mining village transformed into a ski town looks like in someone’s imagination. With a small main street lined by buildings from the 1800’s, Telluride sits next to a large resort filled with steep terrain that literally drops right into town! And, there is such little traffic that it doesn’t even need a stoplight. This was also where Butch Cassidy and the Sundance Kid called home so you KNOW that it has a lot of attitude. Like the town’s motto, “The Last of the Old West”, this place personifies the Wild West. The term “Jackson Hole” came from early trappers/mountain men, who primarily entered the valley from the north and east and had to descend along relatively steep slopes, giving the sensation of entering a hole. With one of the most, if not THE most beautiful mountain ranges on the planet, The Tetons, their views and wildness bring this town to another level. If the scenery isn’t enough to captivate you, butting up to the town is the century old National Elk Refuge where around 4,000 elk spend their winters. And the best part? You can visit the refuge by sleigh! Hearing the snorts and bellowing of elk only yards from you could be one of the most exciting sleigh rides you’ll ever take. Of course, the skiing isn’t too bad either. If Jackson, WY is “The Last of the Old West”, then the Powder Highway must be the last vestige of skiing and snowboarding’s soul. 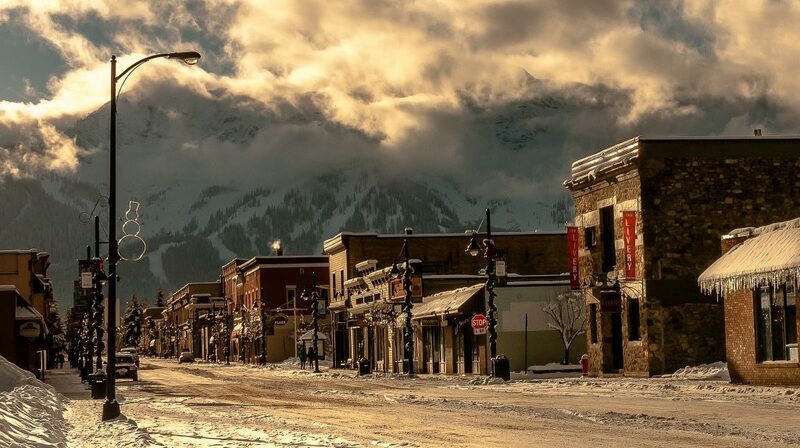 From the northern outpost of Revelstoke to the southern city of Nelson, BC, each one of the towns in this region is unique with its own amazing sense of adventure. Our pick for the most authentic is Fernie. You can literally look right out of town up to the massive hulking peaks of the Fernie ski resort. These snow covered giants loom over the landscape, calling for you to come visit and shred them. This list couldn’t exist without highlighting at least one of the famed New England communities. 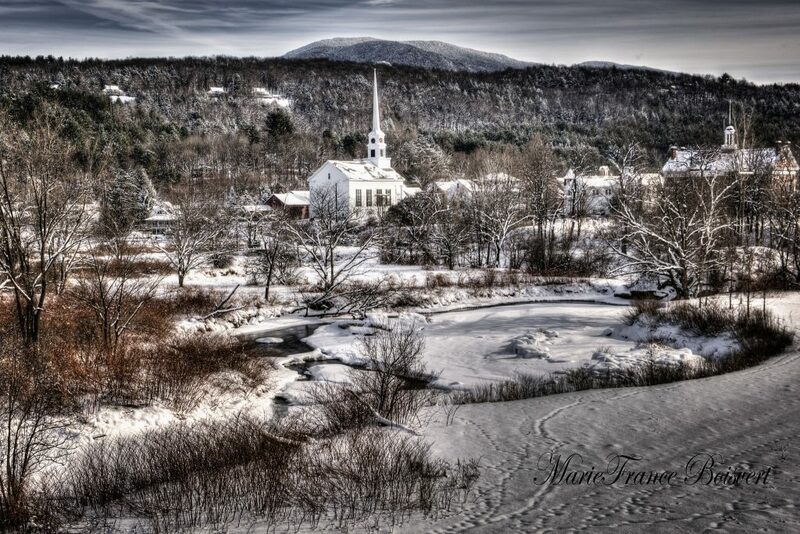 The best example of a true haven for culture and history with skiing, hands down, is Stowe. Back in the 1930’s, there were really only two major destinations for skiers: Sun Valley in the West and Stowe in the East. This legendary Vermont mountain settlement is complete with an iconic white church steeple, a comfy country inn and many other historic buildings. It’s also home to the renowned Trapp Family Lodge, famous for the Sound of Music. The hills ARE truly alive in this quaint locale. The state of Vermont is also the largest producer of maple syrup in the country so if you have a sweet tooth, this translates to amazing pancakes and all kinds of other treats. So, how did we determine this list? The definition of authentic is that it is of undisputed origin and it really is genuine. The next question then is what makes a ski town authentic? 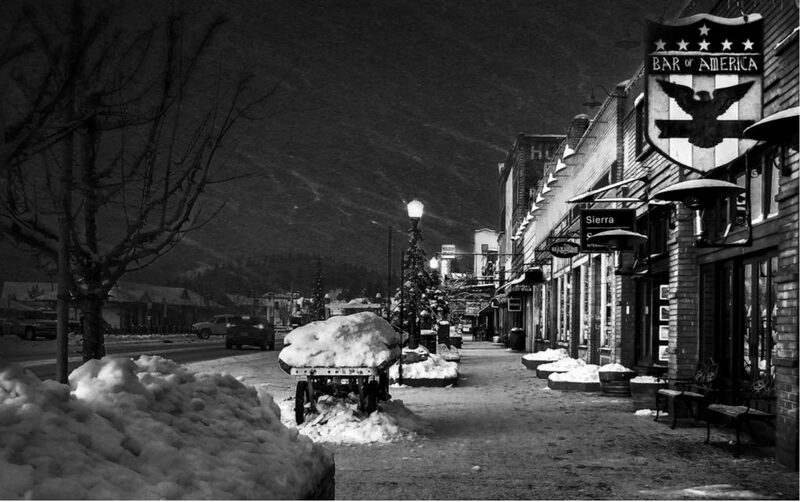 Truckee is definitely a ski town that we love. It has amazing architecture and awesome skiing, but from the center of town, the mountains seem so far into the distance that it’s hard to imagine that there is even a ski resort near by. In addition, the volume of traffic can sometimes be challenging which leads to a more “city” feel than the towns listed above. 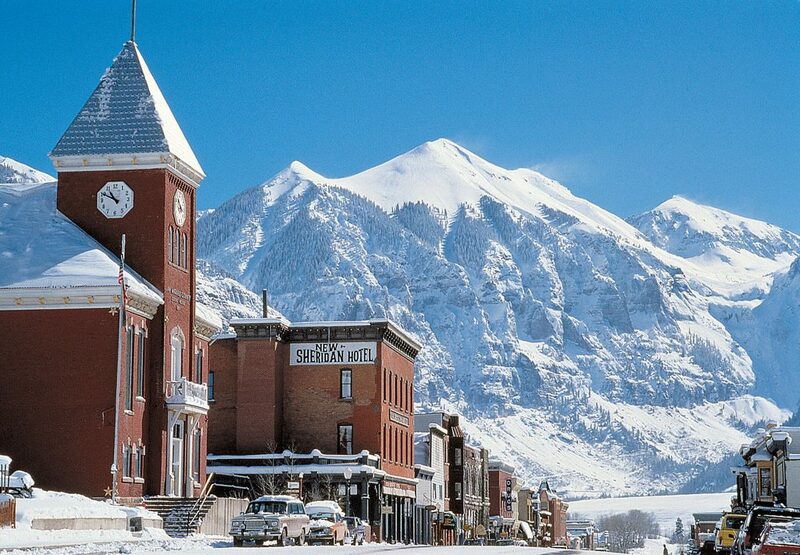 We love snow, ski towns and travel, but of course, this is an opinionated list. 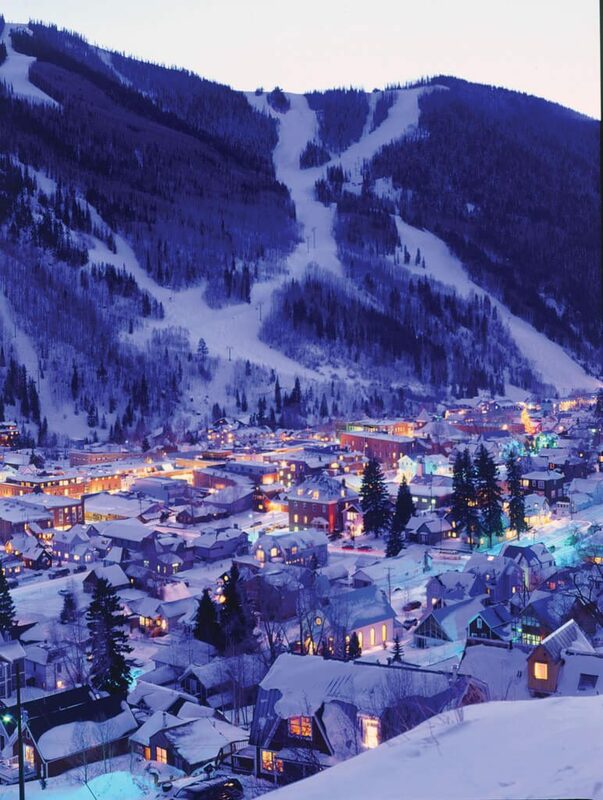 Are we missing another authentic ski town that you think should be on this list? Let us know! 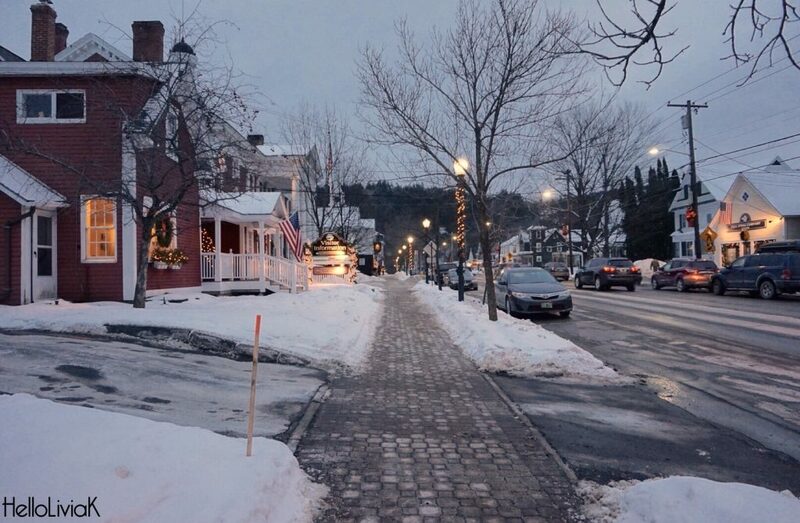 While the surrounding peaks may be small, Ellicottville New York’s bleeds ski-town! It’s one of the towns that are on our bucket list. It seems like that entire part of BC is the last bastion of hope for ski towns.